For any company using SAP ECC which is willing to lay the foundation of a future-proof ERP system. Technical migration support package for S/4 HANA including tools, best practices and embedded analytics. 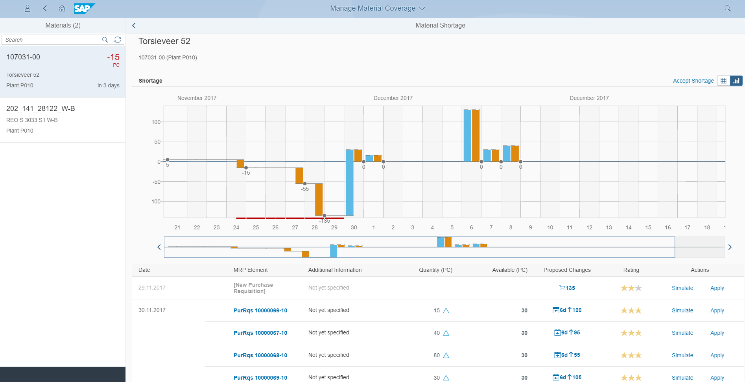 FAST 2 S/4 is a set of tools and best practices combined into an efficient script, allowing you to technically migrate to S/4HANA with minimal throughput time and overhead. Our FAST 2 S/4 approach is the starting point for your optimization and innovation tracks, including embedded analytics, and is the way forward towards the intelligent enterprise. Pieter has built up extensive knowledge and experience in supply chain management. He started working at delaware in September 2007, where he joined the SAP team focusing on Sales Logistics. Pieter has led projects in various industries with a focus on supply chain management. Driven by his passion for new, value-adding technologies and products, over this past year Pieter has strongly focused on SAP S/4HANA. He follows up on the S/4HANA projects that are ongoing at delaware, both in Belgium and abroad, looking for synergies and new ways to deliver value for customers.